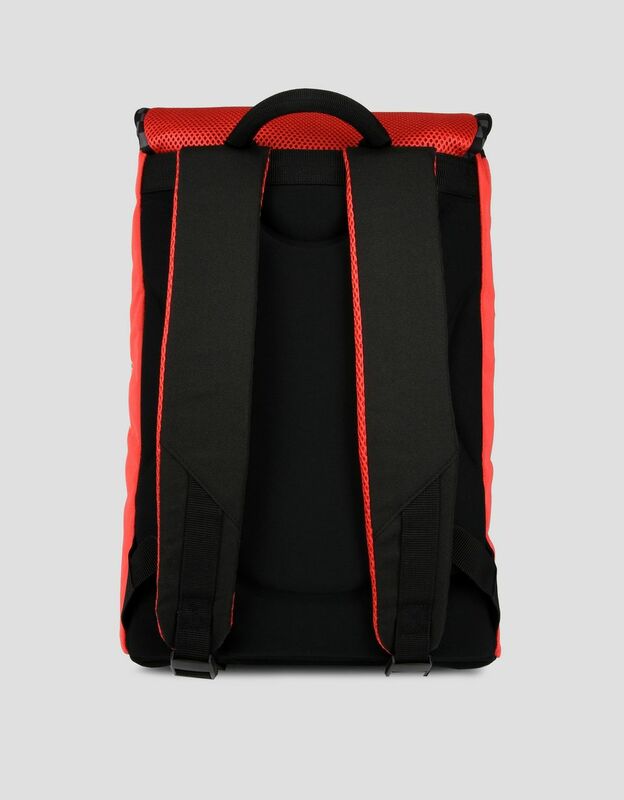 The expandable backpack was modeled after the upper part of the nose on F1 race cars. 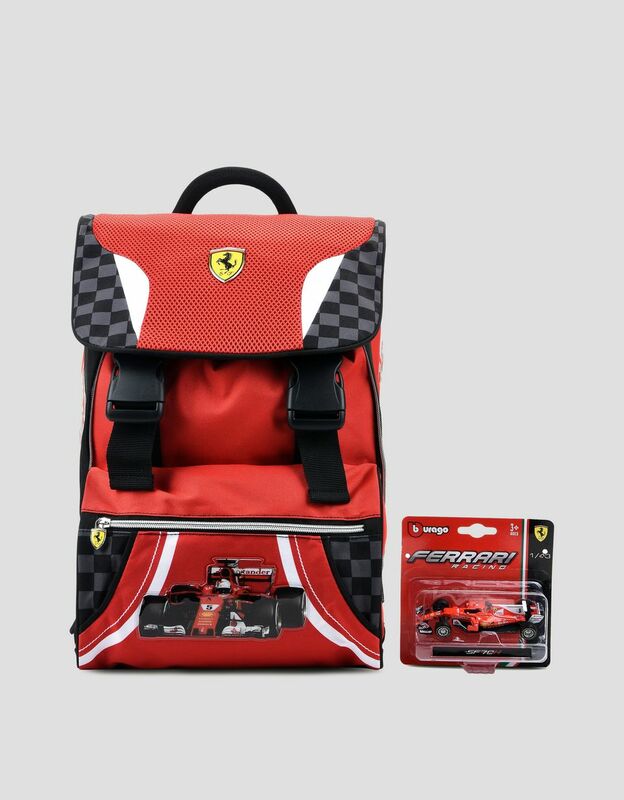 Young fans will take the backpack and the complimentary toy car to school and on adventures as proof of their passion for Scuderia Ferrari. 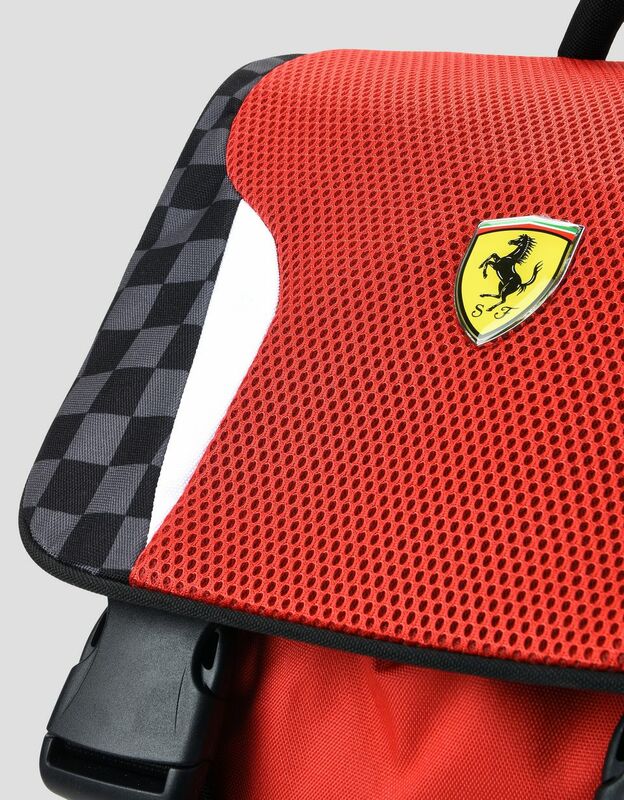 The Scuderia Ferrari backpack is made of polyester with mesh inserts and has a custom patch featuring the car, prints and the Scuderia Ferrari logo. The Shield and the zipper pull are made of pressed metal. 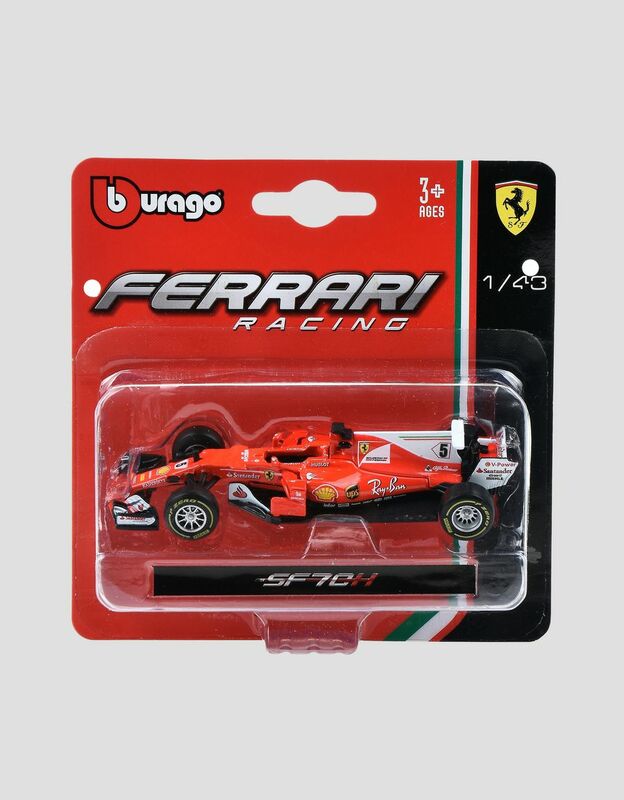 The backpack is even cooler because it expands 3.5" for extra storage space and it comes with a Bburago Ferrari Racing series toy car. Highly functional and practical, the main section closes with a drawstring and has two internal compartments. There are also two front pockets and two side pockets.